For some reasons I have been on and off in the blogging world. As you can noticed my blog is not really updated every day. I guess I need inspiration, some bloggers find free content for websites with Article Writing Services. I also think online universities offer great resources for ideas for posts and conversation. Right, guys? Go back to as to why I off from the World Wide Web because of notebook issues. Just when I thought I can finish everything that I need to finish our landline phone lost its dial tone. Unfortunately I waited from almost two days before it was fixed. I glad that it is fixed now I can continue with what I usually do every day- that is chatting, facebooking, blogging and just randomly surfing to any site I want to visit. Anyways, as I mentioned in my previous post I will be uber busy this week. My day started very early today as I need to prepare the food I and the little one will bring to the field trip. I feel tired and sleepy but I need to get as no one will do it for me, well my mum is at the kitchen now finishing what I’ve started for I am going to take my shower now. I was talking the boyfriend a while ago. In my previous post in my other blog I rant about not able to login to yahoo messenger. The plan of uninstalling and installing new yahoo messenger did not materialize since I was able to login an hour before talking to the boyfriend. Hopefully, I will not encounter the same problem when I try to login tomorrow morning to chat to my boyfriend. Oh, it’s passed one o’oclock here in my other part of the world yet I am still wide awake. I will be going to bed soon, right after I am done with the tasks that I need to finish. Few years’ back I didn’t know how important health insurance is until my friend was hospitalized. Since then I’ve been considering on having my own health insurance that I could use in the future. I have been paying my health insurance from few years now. Anyways, if you’re considering on getting your own life insurance but you don’t know where to start worry no more. You can check it here for helpful information about life insurance. Whether you need to compare the price or you just want to know about the life insurance you will certainly find it in this site. Gladly I managed to watched the Ms Universe 2011 via live telecast this morning. Of course I and my family are cheering for our very own Ms Shamcey Supsup who was judged as the 3rd runner up..Congrats Shamcey!!! You make the Filipino proud..
To all the winners, congratulation especially to our very own Shamcey Supsup. I so love this, aside from yellow blue is also my favorite color. 14 Megapixel CCD Sensor – high resolution sensor allows you to print large or crop images a lot without losing details. Digital Image Stabilisation – High ISO (1600) works to counteract blurred images by allowing faster shutter speeds in low-light situations. 5x Optical Zoom 26mm Wide Angle Lens – Zoom in to distant objects so you can fill the frame with your subject; or with 26mm wide angle you can fit in the frame landscapes, groups of people, interior shots and architecture. 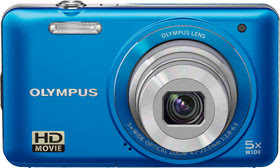 3.0” LCD Screen – This huge 3-inch LCD features an extra-wide viewing angle for easier composing and shooting. Face Detection – focuses on faces rather than other picture elements that might be in the foreground or background. Shadow Adjustment Technology – brightens shadowy areas in a composition without overexposing the brighter areas. Intelligent Auto (iAuto) – Automatically identifies the scene you’re shooting and adjusts the camera settings for optimal results. This saves fiddling in menus for the correct scene mode. AF Tracking – Keeps focus locked on a moving subject – good for sports, wildlife, kids, pets etc. Magic Filter Effects – Get creative with your photography – select one of the magic filters to add expression to your photos. Choose from Pop Art, Pin Hole, Fish Eye, Sketch, Soft Focus, Sparkle or Punk. In-camera Help Guides – If you feel the need for a little extra advice, the camera’s on-board Help Guides will briefly describe the camera’s features and settings at the touch of a button. USB battery charging – enables the camera battery to be recharged from a PC. The little one will be turning seven years old in few months. Wow, it seems that is was only yesterday when I was in pain and crying in the labor room. Now I am looking forward and excited for the christmas gifts from son that I will received in the future. He such a thoughtful son, cousin and friend so I am quite sure I am not the only one who will be pampered in the future. Christmas is fast approaching, do you have any idea what present you will get from your son?